(9:10 a.m. EDT) -- Windstar cruisers looking to easily extend their vacation before or after their cruise can now take advantage of "Easy Stays," a new cruise-hotel-transfer package. As part of the program, cruisers can select from hotels in more than 30 cities where Windstar cruises embark or disembark. 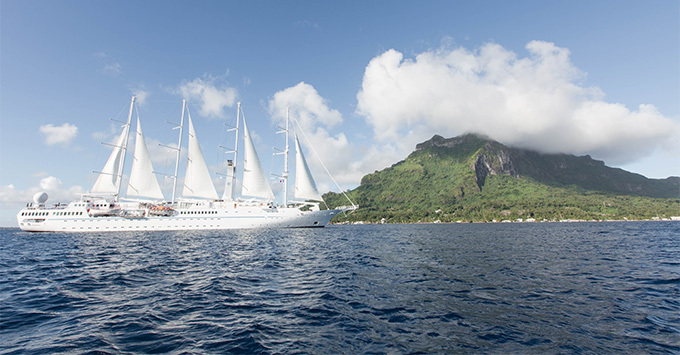 "We think of Windstar as a travel company that goes beyond cruising and inspires our guests to discover new perspectives on the regions we visit," said Windstar president John Delaney. "Our new Easy Stays program reflects that attitude by giving guests a convenient, simple way to lengthen their vacation at our hand-selected hotels around the world." In addition to the hotel room and transfer between the hotel and ship, an Easy Stay package also includes breakfast at the hotel and free Wi-Fi (where available). Most Easy Stay properties also feature an onsite Windstar Hospitality Desk staffed by knowledgeable locals. Hotels are chosen for characteristics such as prime location for sightseeing, as well as local charm and options span a variety of styles so that cruisers can select the hotel that best suits their needs. Other perks of the program are preferred category rooms and upgrades when available. In some locations, the program also offers hotel stays in non-turn ports, such as in Tahiti and Bora Bora.